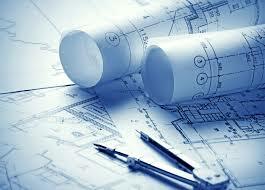 If you plan to pursue a career in engineering there are several areas that you can choose to specialize in. Quality assurance engineering, boat engineering, and naval engineering are all common choices for students to focus their studies on. Should you decide to focus your studies on quality assurance engineering you will likely be required to complete courses such as: customer retention, quality planning, quality auditing, production processes, quality engineering, statistical process control, and problem solving in quality assurance. This course work will teach you what you need to know to become a plant manager, a quality engineer, a quality manager, a project engineer, or a project manager. It will be feasible for you to seek employment in a leadership position, in a consulting firm, at a manufacturing company, or in a consumer services business. Should you choose to pursue boat engineering or naval engineering you will be taking classes that will teach you how to effectively design, build, and maintain naval ships and structures. It will be important for you to use the course work to help you communicate effectively, help you analyze problems, and how to solve problems using an efficient approach. In this course of study you will spend time learning in a classroom setting, as well as within a hands-on laboratory learning format. Typically, these courses must be completed to obtain your bachelor's degree in boat or naval engineering: small craft design, foundations of ship design, ship resistance and propulsion, marine engineering, form calculations and stability, and marine systems manufacturing. Once you have completed your bachelor;s degree in this field of study you will be able to seek employment as an ocean engineer, a naval architect, a marine engineer, a commanding officer, or a Coast Guard cutter crewmember. If architecture is more your area of expertise, then you should consider pursuing your bachelor's degree in architecture. It is important to realize that in order to become a licensed architect you will be required to complete a fifth year of course work. As you learn to become an architect you will need to successfully complete courses related to architectural representation, structures and materials, architectural construction systems, history of architecture, architectural design fundamentals, and introduction to architecture. You will also work to develop your drawing and design techniques and learn to incorporate what you see in your surroundings into your sketches. The last year of course work that you will be required to complete will allow you to put what you have learned to practice in a hands-on setting. Of course it may vary from one college or university to another, but typically students will learn foundational architecture courses during the first year of course work. The following three years will have you working through professional courses which focus on structural concepts and a variety of designs. The final year of course work is strictly focused on demonstrating everything you have learned thus far. Be aware, applicable licensing requirements vary depending upon the state you live in.